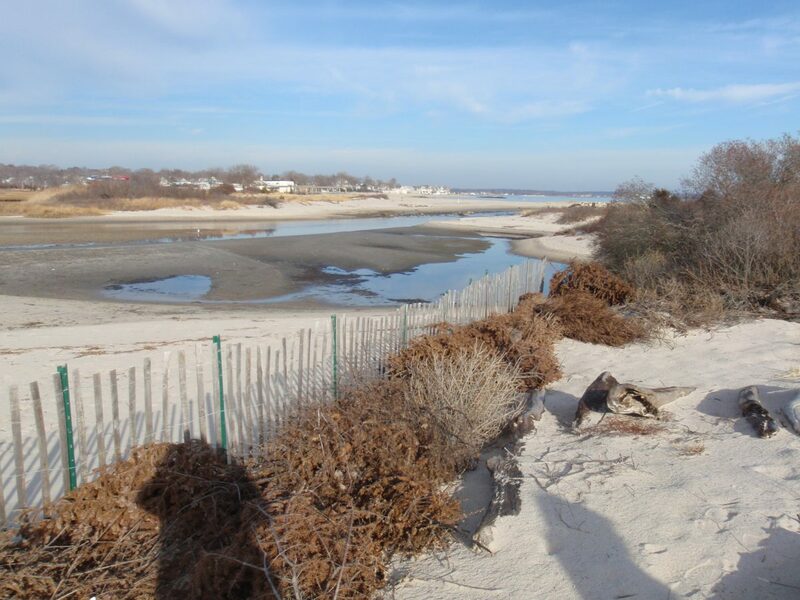 •	dune scarps where the beach grass would have trouble growing until sand builds up to fill in the scarp. 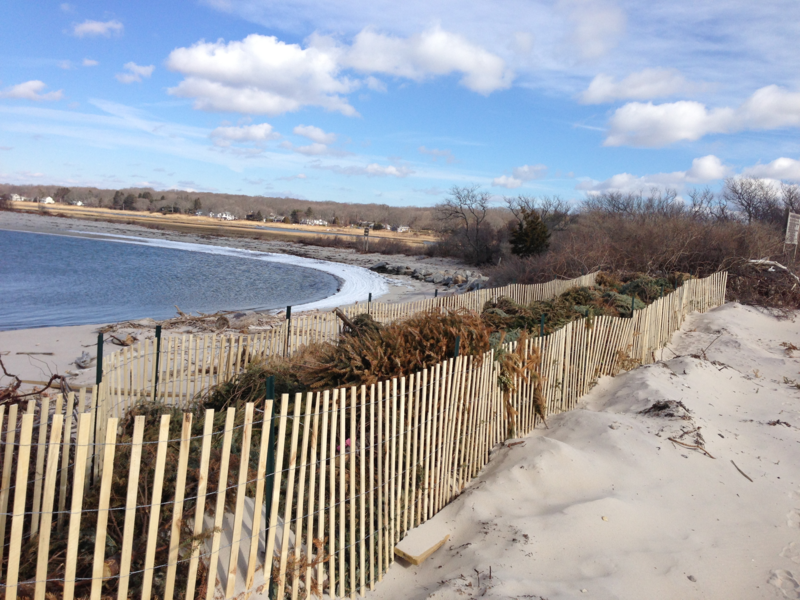 Beach in Waterford using Christmas trees to trap sand. Photo: Jennifer O'Donnell. Christmas trees should be fastened together, staked down, or otherwise secured. 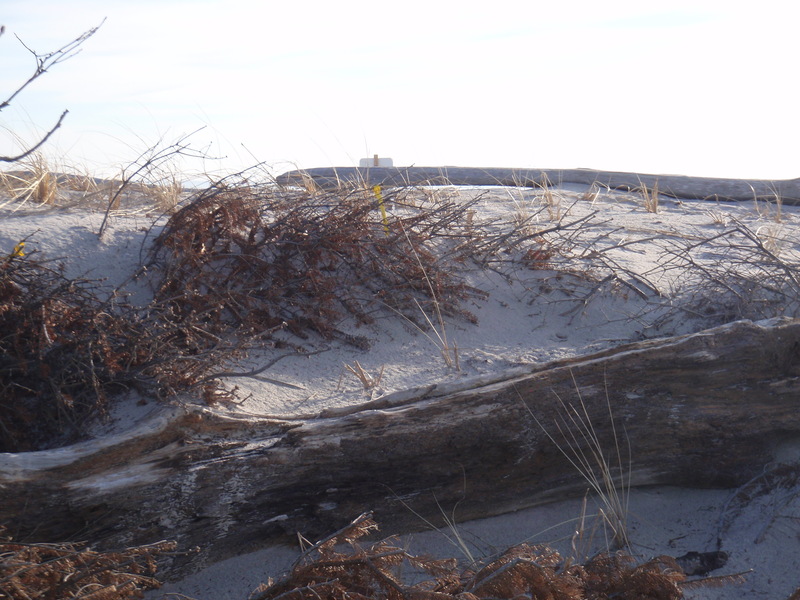 Like dune fencing, major storms can easily move these trees, scrubbing away sand and dune plants.